Stress is good for your health. They release a certain kind of chemical which helps you to finish your task on time. But then when this stress extends for a longer time then it can be harmful to your body. This extended stress is called ‘Chronic stress.’ This stress can affect you physically and mentally and be the reason to various troubles like insomnia, high blood pressure, anxiety and lots more. This is important that you realize the chronic stress before it strikes at your health. Before noting down on how we can deal with it lets pay attention to the major symptoms. Apart from anxiety and depression, following are the other symptoms that can help you notice whether you are suffering from chronic stress or not. Now, as you know the symptoms let’s look the ways you can deal with it, if you are suffering from it. 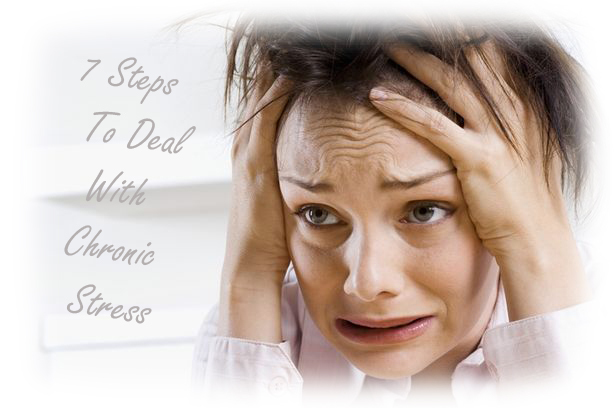 Chronic stress is not difficult to deal with. The most important thing is that you should know if you are suffering from it. It affects us badly when we are not aware about it. But when you are aware about it then you can look for the solutions to deal with it. Here are the ways which would help you to deal with it. 1. Meditate: Meditation helps you in various ways. It helps you to be calm and composed and also throw out negative energy from your body. Make sure that you meditate regularly every morning. With this you can see the difference soon. 2. 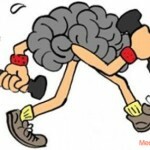 Exercise: When we are stressed we don’t pay attention to our health. This adds up to the problems that stress is causing. So, make sure that you spend early hours of the morning by exercising so that your body and mind gets some fresh air. 3. Prioritize Your Work: Stress is caused when we are not able to deal with our work properly. Make a list of work according to the priority and then start working towards it. This would surely reduce your work and would also help you to manage your time accordingly. 4. Laugh Out Loud: Laughing is indeed the best medicine. It is been suggested by everyone that when you are stressed, laugh loudly. To reduce the stress you can also join the laughing club in the nearby area to help you out. 5. Take A Nice Sleep: Sleep helps your body to rest properly. Make sure that you get enough amount of sleep so that your mind and body gets enough amount of rest which is needed. 6. Take Our Time For Your Hobby: Hobbies help you relax your mind. When you are involved in something which you love doing then your mind is happy and you forget about the work load and problems that you are going through. 7. Have A Nice Diet: One of the symptoms of stress is improper diet. Your energy intake would surely affect your energy level adding up to the stress symptoms. So, make sure that you have a proper diet.